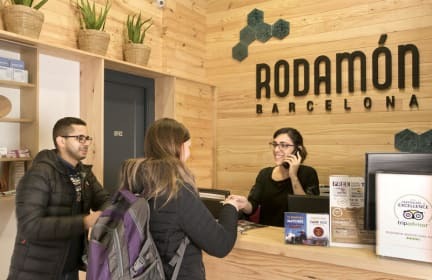 Rodamon Barcelona Centre i Barcelona, Spania: Bestill nå! Lovely hostel,and very nice and helpful staff. Noices carry a long way so if you have a room close to the reseption/ bathrooms you will hear people. Love the curtains on the bed, gives you some privacy.